Episcopal Church Women, Men’s Group, St. Anne’s Guild, and St. Mary’s Guild all contribute to local, national, and international charitable organizations through their activities (see their pages on this site) and through direct donation. We also have a “Third Sunday Project” which receives the “loose change” in the collection plates on that day of the month. 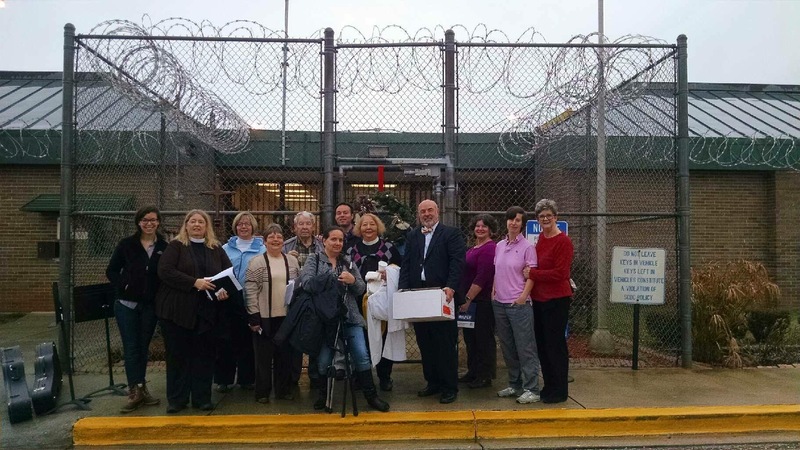 We celebrate the Eucharist twice a year at the women’s prison, and about 8-10 All Saints’ parishioners attend each time to assist at the altar, provide music, hand out bulletins, and more. 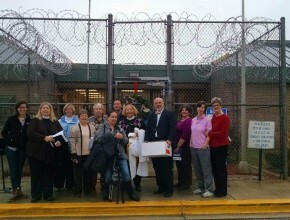 Prison volunteers have to apply ahead of time and comply with the prison screening process. Fresh Start Ministry to the homeless and working poor at St. Luke’s Episcopal Church in Columbia. This wonderful ministry offers hot showers, laundry facilities, a clothing section, a food pantry, lunch, and occasional medical check-ins – all for free. They are open every Thursday and the 2nd & 4th Saturdays from 10am-3pm. All Saints volunteers go on the 4th Saturday every month, and we collect food, clothing, laundry detergent, and toiletries for this ministry. 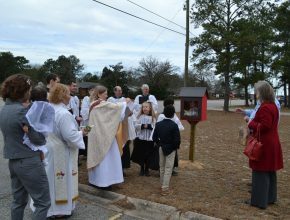 In response to a suggestion by Cayce Mayor Elise Partin that churches host “Little Free Libraries” on site, we contacted a local Eagle Scout who was building them. 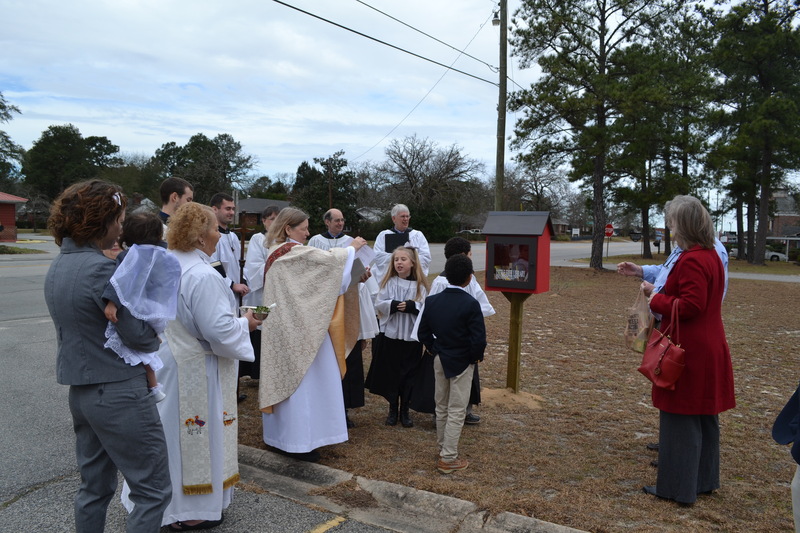 Our Library was dedicated after Sunday services on February 7, 2016 (see photo below), and Mayor Partin (in red coat on right) was present. The All Saints’ community has donated children’s books for the Library, and the children at our church check on when the Library needs replenishing. Little Free Libraries provide books for anyone to access 24 hours a day. Borrowers can keep a book, replace it in our Library or any other Little Free Library, or donate books to our site. Our Library is registered on the Little Free Library website.